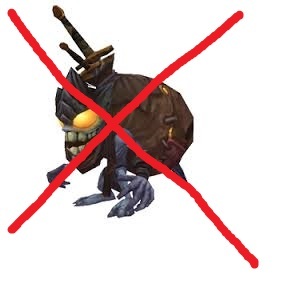 I hate the treasure goblin pet with a passion. On my server there are three auction house bots that have them out 24 hours a day. They were beginning to drive me insane so I made this to mute the little buggers. To install just drag and drop the Creature folder to World of Warcraft\Data\Sound. If there is no sound file you need to create one. To uninstall simply delete the TreasureGoblinPet folder. Special thanks to Ro for helping me find the correct file path.